The most common type of all natural hazards is flooding. This is particularly true in the greater Houston area. Being prepared is a vital step toward protecting both lives and personal property. Flooding can be caused by various weather situations, whether it be severe thunderstorms, or a slow-moving tropical system over the City, such as we saw with Tropical Storm Allison in 2001 or the Memorial Day Flood of 2015. It can cause damage both with fast-moving currents, as well as residual mold damage to homes. Flash floods are characterized by a rapid and extreme flow of high water into a normally dry area, or a rapid water level rise in a stream or creek above a flood level within six hours of a severe weather event such as a thunderstorm. Ongoing flooding can intensify to flash flooding in cases where intense rainfall results in a rapid surge of rising flood waters. Flooding is where an area comes underwater that is normally dry. In Houston, in addition to Flash Floods, we can experience “area floods”, especially near the banks of streams, creeks, rivers and bayous. These types of floods happen over time, and will result in sharp rises of water over the banks of waterways. This type of flooding can cause extensive damage, but is generally less-life threatening, because people have an opportunity to move away from flooded areas. When the National Weather Service forecasts flooding for our area, they will issue various products. Knowing the difference between these products will help you better understand the situation and take steps to keep yourself and your family safe. Areal (Urban & Small Stream) Flood Advisory – Areal or Urban and Small Stream Flood Advisories are issued when rainfall is forecasted which is expected to cause relative rises in bayous, creeks and streams, as well as on streets and in low-lying areas, but that generally, they are not expected to be directly life-threatening. Flash Flood Watch – Issued when the potential exists for flash flooding to occur. This usually means a storm system is expected to begin impacting our area, and/or the soils have been saturated and may not be able to handle very much rain, causing run-off which could lead to Flash Flooding. Flash Flood Emergency – Issued very rarely for an extreme threat to human life and catastrophic damage is imminent or ongoing. Waters are rising to levels rarely if ever seen. Areal Flood Warning – Issued usually after large amounts of flash flooding. This means that flooding is still a problem over a large area, and is still life-threatening, but water is not expected to rise. Flood Warning (Forecast Point) – Issued when waterways are over their banks and are expected to continue to rise over the next few hours. These are usually issued for a specific point, such as the intersection of a waterway and a road. This means that relatively slow rises of water are expected, and residents should pay attention to changing conditions, avoiding the area. The number one killer for natural disasters in the United States is flooding. 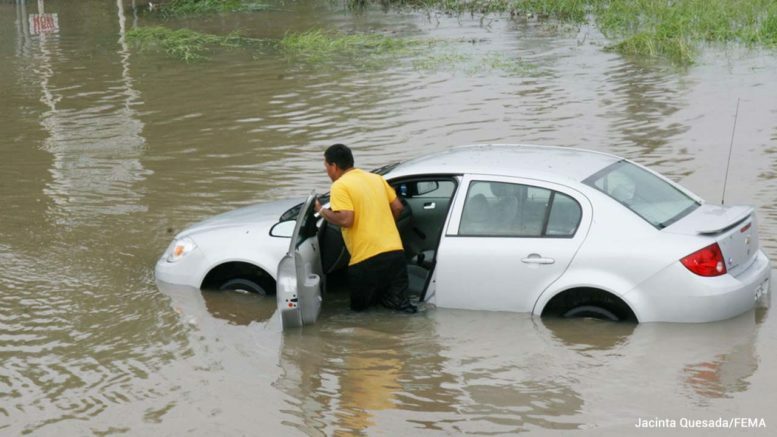 Many times, individuals aren’t able to judge the depths of water along roadways and find themselves in perilous conditions. 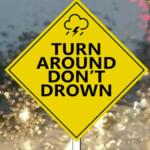 The National Weather Service encourages residents to “Turn Around, Don’t Drown” by not driving into areas of water across a roadway. Water at heights of as little as six inches can sweep you off your feet and downstream. Water as little as two feet can wash you and your vehicle downstream as well. 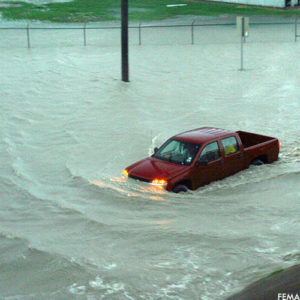 Be especially cautious at night, when its even more difficult to gauge the amount of water in a roadway. The safest option is to simply avoid driving over water and find an alternate, safer route, or wait until the danger has passed. If you see water covering a roadway that can result in danger for motorists, please dial 9-1-1 and report it immediately. If you live in Houston, you should have flood insurance. Homeowners and Renter’s insurance will not cover damage from flooding caused by heay rain, river, creek and bayou overflows. Flood insurance is relatively cheap – but can save you a lot of money when you’re affected by flooding. 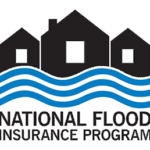 Visit floodsmart.gov for more info. The following websites have additional information on flooding in Houston. 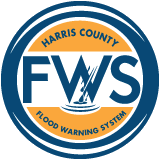 This website provides residents information on the levels of creeks, streams and rivers in Harris County. This information is continually updated during storms and can help residents determine stream levels near them. Do you live in a flood plain? Aren’t sure? Visit the Flood Education Mapping Tool website, plug in your address and figure out your risk level for flooding. Also find information on how you can obtain flood insurance, which is the only coverage you can get against damage from flooding. 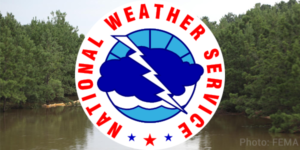 The National Weather Service (NWS) West Gulf Coast River Forecast Center provides information on river flooding throughout our area. It’s a great resource to help understand the impacts from heavy rainfall on our rivers and bayous.